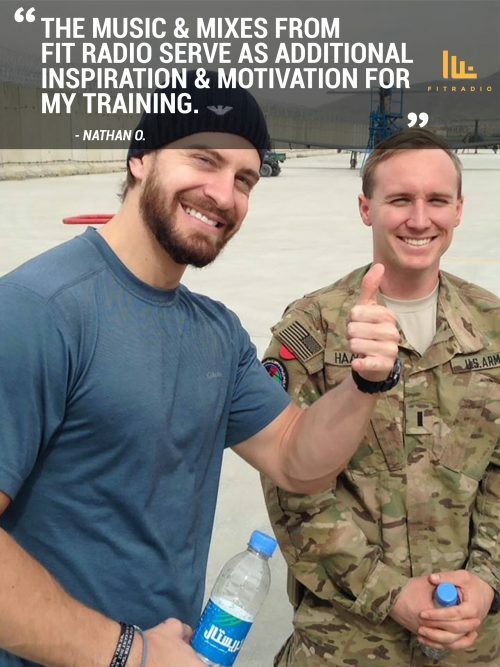 Fit Radio Success Story – Meet Nathan O.
I love the Fit Radio app. I downloaded it because, in November, I will be running the NYC Marathon in support of the 75th Army Rangers Lead The Way Fund — a charity established to support the families of wounded and fallen Army Rangers— one of the Army’s most elite fighting forces. I’ve personally served 6 years in the US Army and was deployed overseas for 4 years. I’ve lost many friends in the process so they will be running with me in spirit on that day. Fit Radio has certainly inspired me and I think it was a quality purchase. 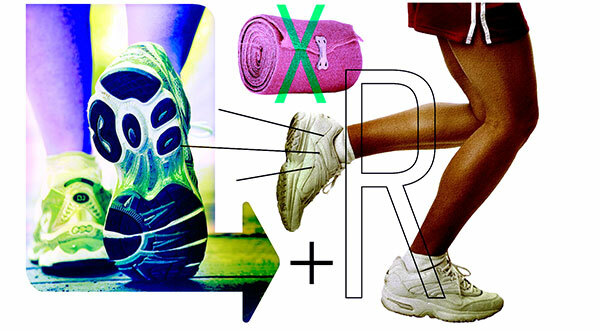 The music compilations and mixes from the Fit Radio app serve as additional inspiration and motivation for my training. If anyone would like to donate to the wives and children of these soldiers, please click here. I would never advocate for a charity I didn’t full-heartedly believe in. This one is a fantastic cause. According to a lovely new study, a single minute of intense exercise, embedded within an otherwise easy 10-minute workout, can improve fitness and health. 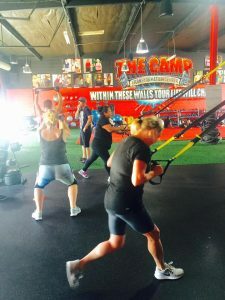 This is good news for busy people who have tried, unsuccessfully, to fit even short workouts into their schedules. The overall time commitment for interval-training sessions is not quite as slight as many of us might wish. Consider, for instance, an interval session in which someone rides a stationary bike as hard as possible for 30 seconds, followed by four minutes or so of easy pedaling. If that person completes four of these intervals, with two or three minutes of warm-up and cool-down added at the beginning and end of the workout, the entire session lasts for almost 25 minutes, a time commitment that some people might consider unsustainable. 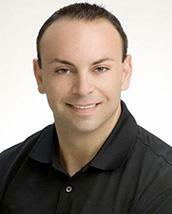 These concerns reached the laboratory of Martin Gibala, a professor of kinesiology at McMaster University in Ontario. He and his colleagues have conducted many of the most influential recent studies of high-intensity interval training, and many of the scientists there regularly exercise with interval training. They, too, had noticed that interval-training sessions were not quite as truncated as some people hoped and had begun to wonder if it might be possible to lower the overall time commitment. But if so, they wondered, how low could someone go in terms of time and still gain health and fitness benefits? To find out, the McMaster researchers recruited a group of 14 sedentary and overweight but otherwise healthy men and women. They focused on these volunteers, because sedentary, overweight people often are on the cusp of serious health issues such as diabetes, which might be kept at bay with exercise, but sedentary people also often cite a lack of time as their reason for not exercising. They invited the volunteers to the lab, where researchers took muscle biopsies and measured their aerobic endurance, blood pressures and blood sugar levels. Then they asked the volunteers to complete a truly time-efficient, interval-training program using computerized stationary bicycles. Each session consisted of three 20-second “all-out” intervals, during which riders pushed the pedals absolutely as hard as they could manage, followed by two minutes of slow, easy pedaling. The riders also warmed up for two minutes and cooled down for three, for a grand total of 10 minutes of total exercise time, with one minute of that being the intense interval training. The volunteers completed three of these sessions per week, leading to 30 minutes of weekly exercise, for six weeks. Then they returned to the lab to be retested. Their bodies were, it turned out, quite different now. The men and women had increased their endurance capacity by an average of 12 percent, a significant improvement. They also, as a group, had healthier blood pressures and higher levels within their muscles of certain biochemical substances that increase the number and activity of mitochondria. Mitochondria are the energy powerhouses of cells, so more mitochondria mean better endurance and fitness. Interestingly, the male volunteers also had significantly improved their blood-sugar control, but the female volunteers had not. 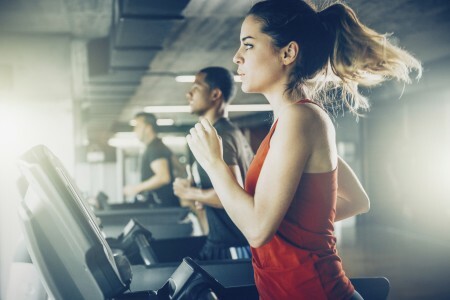 The researchers suspect that fundamental differences in how the genders burn sugar or fat to fuel exercise might affect how each responds to some aspects of interval training. But more research is needed with both men and women before scientists will be able to understand the import of this difference, Dr. Gibala said. In the meantime, the message from the study that most of us will grasp at is, of course, that one minute of exercise is all you need. But Dr. Gibala would like people to remember that 10 minutes of overall exercise time is involved for a total of 30 minutes per week. He also suspects that, with this study, scientists are plumbing the lowest limits of worthwhile exercise time. “We’ve dropped from 30-second all-out intervals to 20-second intervals,” he said, “because for many people those last 10 seconds were excruciating.” Most of us, however, can complete 20-second all-out efforts without wishing to cry, he said. Halving the intervals again, however, to 10-second efforts, probably would mot provide the same benefits, Dr. Gibala said, although “maybe if you did more of them, it might work.” He and his colleagues are studying these and other questions related to interval training. For now, relying on one minute of hard exercise to ease you through the holidays with your health intact seems feasible, he said. And the exercise does not need to be cycling. Sprint up stairs in 20-second bursts, he said, or even run hard in place. The point is that time constraints shouldn’t keep anyone from exercise. In the time it took to read this column, you could be done with your workout. Q: Who do you think should run for president in two years? Q: How many push up’s you can do? A: In a row, I would say about 45. Then, I would fall over. Q: Would you eat a bowl of crickets for $100,000? Q: What are your top 3 gigs you have ever DJed? A: This is a though one. 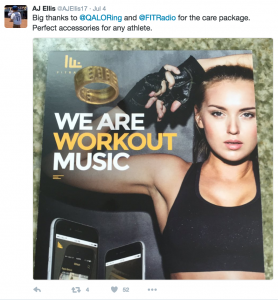 Actually, I think Fit Radio has worked with them. I did a Night Nation Run Festival in Los Angles last year with 15,000 people. That would definitely be one of my favorite shows. The other 2 would have to be when I played in South Korea at Club Answer and I love Canada so I would say the shows I’ve done up in Grande Prairie, Alberta. Q: What did you think the 1st time you played the Fit Radio App? A: Great App! People needed something like this. Especially for running, gym sessions, or even road trips. 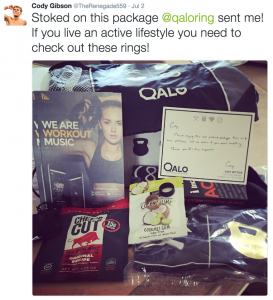 Q: How does Fit Radio help people’s workouts? A: Music has a tremendous effect on the way you feel. The right mix can motivate you to go the extra mile or keep pushing through your workout when you feel like quitting. Q: What is the best feature on Fit Radio? A: The Selection of mixes available. Plus having them all categorized really helps you navigate to exactly the style of music you’re looking for. Q: How do you prepare a mix for Fit Radio? A: I really like finding different and new styles of music and mixing them together with familiar elements of songs that are more recognizable to people. It’s a great way to introduce new music to the listener. When I start making the mix, I try to pair up vocals from hit records with newer, more abstract tracks. I think of a mix as a whole piece of music, as opposed to a collection of songs. So, it’s very common to always hear something going on, even in the spaces between tracks. 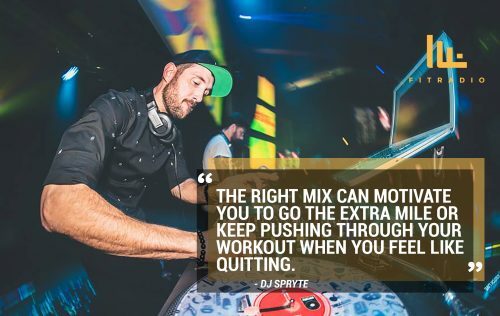 Learn more about DJ Spryte and listen to his latest mixes here. 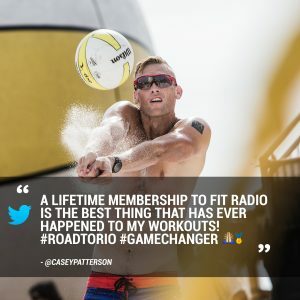 Casey Patterson, nicknamed “Mr.Boom,” is a member of the USA Men’s Beach Volleyball team set to make his first Olympic appearance in Rio this week. 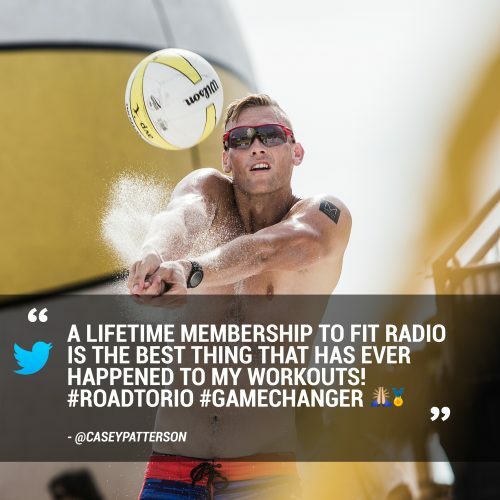 Known for his passion and signature style on the court, we are proud that Casey is just one of the many incredible athletes that have joined our Fit Radio Fam on the #RoadToRio! Q: Of all your pet-peeves, which is the strangest? A: When people are ordering food and they reach over the sneeze-guard to point at what they want (think Chipotle or Subway). Q: What is your favorite animal? Why? Q: If you could live anywhere in the world, where would it be? A: Venice, Italy or b some small village in Norway overlooking a fjord. Q: Would you rather have money or love? Why? A: Money, only because I don’t look for love, I create it. Q: Would you consider yourself to be a good dancer? Q: What do you consider to be the best feature about Fit Radio for users? 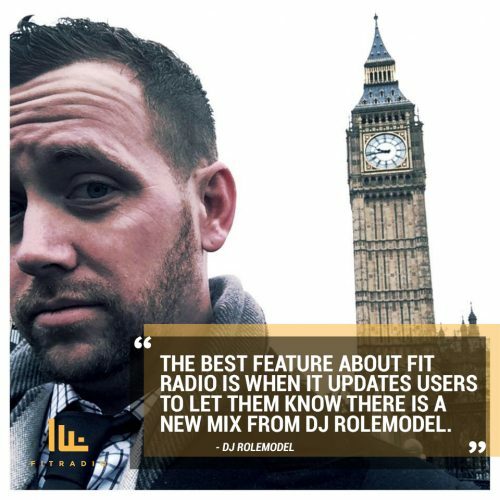 A: The best feature about Fit Radio is when it updates users to let them know there is a new mix from DJ Rolemodel. Q: How can Fit Radio change your workout? A: Fit Radio has helped me because I don’t have to worry about the music that’s coming up, I can relax and focus on cardio instead of skipping from song to song. Q: What are the perks being a Fit Radio DJ? A: The main perk of being a Fit Radio DJ is the exposure. That and of course having tons of new friends from the ATL. Learn more about DJ Rolemodel and listen to his latest mixes here. When Summer hits and warm temperatures rise, just thinking about heading out for a workout can be draining. However, it’s actually not all in your head — working up a sweat during the serious summer heat puts a lot of added stress on your body. Mayo Clinic explained that hot weather leads to a more dramatic increase in body temperature. Therefore, your body sends more blood to circulate through the skin as a way to cool off, but, at the same time, increases your heart rate. The humidity makes high temperatures even worse, because it prevents sweat from evaporating off of your skin. We all know the heat can make you feel bogged down, but it can also be harmful if you aren’t careful. The most important thing to remember above all else is staying hydrated. According to Livestrong, adequate hydration not only aids in maintaining your fluid levels, but also helps to cool your core temperature. When the temperatures soar, these six tips will help you keep your cool so you don’t have to miss a workout. Carrying water with you is an absolute necessity if you’re exercising outside. There might be a drinking fountain or two nearby, but you’re going to need more than a few sips to keep yourself cool. Classic plastic models aren’t always the best choices either. Even if your water might be chilly when you leave the house, the extreme heat will go to work on the liquid pretty fast. It’s a good thing that today, there are a multitude of water bottle brands that are designed to keep your beverage cold much longer than a plain, plastic bottle. During the Summertime, it might be wise to avoid your lunchtime workout and opt for a more cooler time of day. Not only will it save you the heat, your body won’t feel as much of the exhaustion from the scorching temperatures. 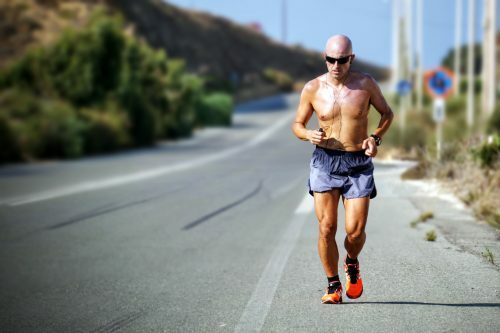 According to Active.com, unless you are training for an event that takes place in the daytime heat, you should avoid exercising from 10 a.m. to 3 p.m because it’s the hottest part of the day. Generally, the early morning is the best time to workout, especially if it’s going to be scorcher that day. The lighter colors will help reflect heat and while performance fabrics are the best option (since they are designed to keep you cool), cotton materials also help the evaporation of sweat. Biking, running, and tennis are fantastic exercises any time of the year, but they can all prove extremely challenging during the heat of Summer. If it’s just too hot for your go-to activity, try something different. Swimming is an incredible workout and if you live on the coast, why not take a stab a surfing? You’ll still be able to enjoy the outdoors, but the exercise will be more manageable from the cool water. Active.com says that runners should be particularly wary of hot weather if they live in an area with a lot of pollution. So, hitting the treadmill or elliptical in the gym is probably a safer bet. If you insist on putting in some time outdoors, consider adapting your workout. Kenny Boyd, athletic trainer for the football team at the University of Texas, told U.S. News and World Report to try just the core part of your workout outside. 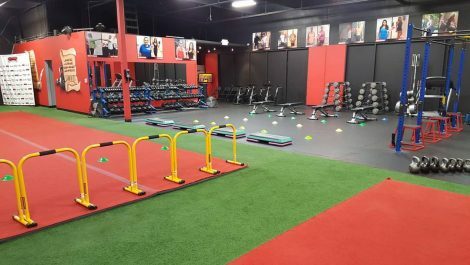 You can use the gym for your warm up and cool down. The most important thing is to listen to your body. If you’re out in the heat and begin feeling dizzy, faint or nauseous, stop immediately. Overall, just be smart about your expectations. No need to try to set a new record in 100-degree weather. Meet Dr. Saman Bakhtiar – the Co-Founder of the The Camp Transformation Center. 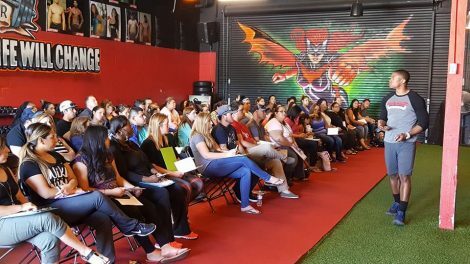 Dr. Bakhtiar and his trainers use Fit Radio as apart of their training programs in their multiple locations across California. Dr. Bakhtiar started The Camp Transformation Centers in 2011 for the sole purpose to motivate people to “transform” from the inside out. With this passion and the help of Fit Radio, the centers have done just that! So far, they have had over 30,000 people who have gone through the program and have completely transformed their lives. 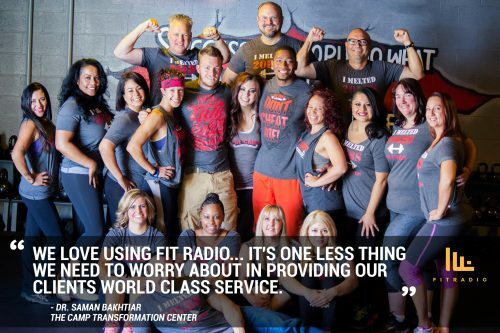 Like Fit Radio, the mission of The Camp Transformation Center is to motivate, educate and change lives. Last week Fit Radio DJ, DJ Scuffs took the Fit Radio stage at Night Nation Run in Toronto – The World’s first-ever Running Music Festival. Q: What was the Night Nation Run event like? A: It was a super dope event. So much energy from start to finish. Essentially, it’s a big music festival with a 5K race course going through it. There are multiple sounds and DJs playing all day and through the night with some DJs actually positioned on the course to help keep you pumped and moving all the way to the main stage. 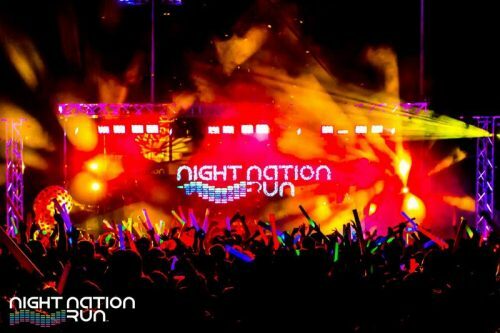 Q: Fill in the blank: DJing at Night Nation Run Toronto was _______. A: An amazing experience, a cool concept, and one of the best events I’ve ever played at and been a part of. Q: When you create a Fit Radio mix, what do you always make sure to do? A: I always make sure it’s a perfect combination of style, fun, energy, and it keeps you wanting more. Learn more about Night Nation Run and find upcoming runs near you here! Fit Radio users get an exclusive $25 admission price (60% off the regular ticket pricing) using the coupon code FITRADIO at checkout for ALL RACES! Click here to find a Night Nation Run near you! To train for my first marathon, I’m using the “run-walk” method, popularized by the distance coach Jeff Galloway, a member of the 1972 Olympic team. When I mentioned this to a colleague who runs, she snickered — a common reaction among purists. But after interviewing several people who have used the method, I’m convinced that those of us run-walking the marathon will have the last laugh. Contrary to what you might think, the technique doesn’t mean walking when you’re tired; it means taking brief walk breaks when you’re not. Depending on one’s fitness level, a walk-break runner might run for a minute and walk for a minute, whether on a 5-mile training run or the 26.2-mile course on race day. A more experienced runner might incorporate a one-minute walk break for every mile of running. Taking these breaks makes marathon training less grueling and reduces the risk of injury, Mr. Galloway says, because it gives the muscles regular recovery time during a long run. Walk breaks are a way for older, less fit and overweight people to take part in a sport that would otherwise be off limits. But most surprising are the stories from veteran runners who say run-walk training has helped them post faster race times than ever. One of them is Tim Deegan of Jacksonville, Fla., who had run 25 marathons when his wife, Donna Deegan, a popular local newscaster and cancer survivor, began organizing a marathon to raise money for breast cancer research. When Mr. Galloway volunteered to help with the race, Ms. Deegan asked her husband to take part in run-walk training to show support. He did, posting a time of 3:28. Nadine Rihani of Nashville ran her first marathon at age 61, taking walk breaks. 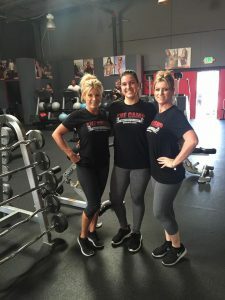 Her running friends urged her to adopt more traditional training, and she was eventually sidelined by back and hip pain. So she resumed run-walk training, and in April, at age 70, she finished first in her age group in the Country Music Marathon, coming in at 6:05. Dave Desposato, a 46-year-old financial analyst, began run-walk training several years ago after excessive running resulted in an overuse injury. He finished this year’s Bayshore Marathon in Traverse City, Mich., in 3:31:42, cutting 12 minutes off his previous best. Another unconventional element of walk-break training is the frequency — typically just three days a week, with two easy runs of 20 to 60 minutes each and a long run on the weekend. The walk breaks allow runners to build up their mileage without subjecting their bodies to the stress of daily running, Mr. Galloway said. 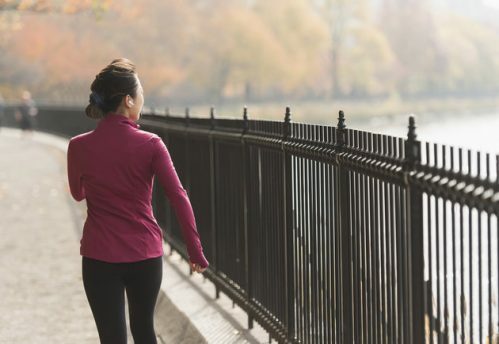 Many runners take their own version of walk breaks without thinking about it, he says: they slow down at water stations or reduce their pace when they tire. Scheduling walk breaks earlier in a run gives the athlete control over the race and a chance to finish stronger. While I’m planning to use run-walk training to complete my first marathon, I’ve heard from many runners who adhere to a variety of training methods. So later this week, the Well blog will have a new feature: the Run Well marathon training tool, with which you can choose any of several coaches’ training plans and then track your progress. Besides Mr. Galloway, plans are being offered by the marathoner Greg McMillan, who is renowned for his detailed training plans that help runners reach their time goals; the New York Flyers, the city’s largest running club, which incorporates local road races into its training; and Team for Kids, a New York Road Runners Foundation charity program that trains 5,000 adult runners around the world. The Run Well series also gives you access to top running experts, advice from elite runners, reviews of running gadgets and regular doses of inspiration to get you race-ready. So please join me, the coaches and other running enthusiasts every day at the Well blog, nytimes.com/well, during the next five months of training. For me, this is finally the year I’ll run a marathon. I hope it will be your year too. 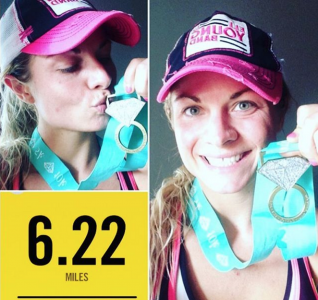 Fit Radio Success Story – Meet Brandy M.
“I did it! I officially ran the longest distance I ever have before (without) stopping! Just did a 10k (6.2 miles) and finished in about an hour at a 10.5 minute mile, which I am extremely happy with! My “personal record” had nothing to do with time, it was simply to FINISH, ideally without stopping, which I DID!!! The Texas heat is no joke in the middle of the afternoon. It was HOT, I was tired and I already worked out at did weights at the gym this morning. The trail was really empty today so it made it MUCH HARDER to run and at the halfway point I was TIRED! I knew that I could stop and walk because no one would know but me… But I wanted to prove to myself that I could do this run, alone, without stopping. Talk about SELF MOTIVATION & DISCIPLINE! Although my body was tired I knew it was MIND that I had to convince to keep going so I kept telling myself “This is so easy”, “You’ve got this girl”, “Be proud of yourself”, “Keep going”, “You’re almost there”… Positive self talk really helped and I have my yoga practice to thank for that. Do you love Fit Radio? Tell us about your experience for your chance to be featured! Click here to learn how.